Whatever types of window you have in your home, discovering the best way to dress it can make all the difference. From curtains and drapes to roman blinds, here are some window dressing ideas to inspire you. It may be a cliche, but windows really are the eyes of your home and the way you dress them can make or break how good your home looks. Whatever style you choose, will ultimately dictate the amount of light that’s cast into the space. Blackout curtains are a popular option in bedrooms as they are lined to prevent extra light pouring into the room and waking you up at the crack of dawn. Similarly, roller blinds with a blackout lining are another convenient choice for bedroom windows. A white roller blind in a white room is the most minimal of window treatments, all but disappearing when it’s rolled up. However, that can be desirable with a large, attractive window or great view that you don’t want to lose. Venetian blinds are a smart idea for kitchens and bathrooms and they come in metal, plastic and wood. These can be tilted to adjust light levels and for extra privacy. They are easy to wipe clean too. For conservatories, roller blinds are often chosen for a contemporary look. If full-length curtains are impractical, or where the upper part of the window or the view are especially appealing, then Café curtains are a viable option. This extra-short version consists of a single panel of fabric, with the rod threaded through a series of grommets. Cafe curtains aren’t the only way to leave the upper reaches of windows open; some blinds can also be hung lower in the frame. This works best with blinds that have a plain upper edge rather than a flap or valance built in. A loose roman shade can make French doors look more window-like and adds some softness to a cosy, upholstered room. 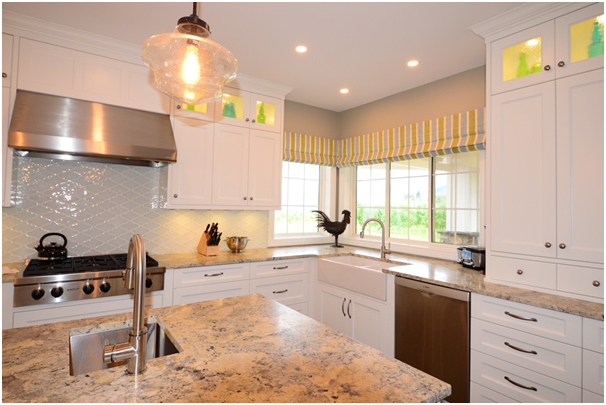 Roman shades come in a variety of styles and can be fashioned from any fabric to complement any room. Blinds and shades not only make a fresher-looking modern window but they don’t permanently obscure the windows either, allowing lots of light in when you want them to. Roman shades offer a second layer of colour or pattern, while wood blinds provide texture and allow for the greatest control of light and privacy. With any curtains, hanging the rod higher than the top of the window makes for longer drapery, creating additional height in the room. 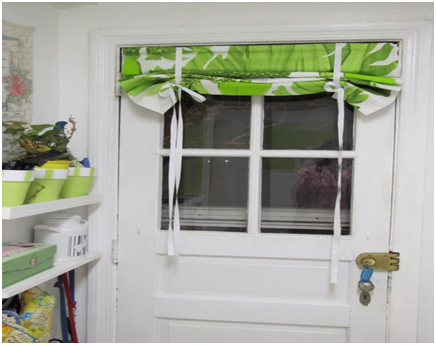 This is a handy tip if your space is limited or you want to hang curtains in a small room.